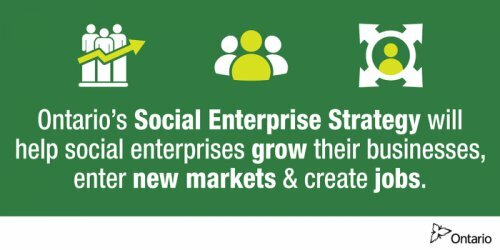 In June 2016, the Ministry launched Ontario’s Social Enterprise Strategy 2016-2021. It outlines priorities and initiatives that will catalyze the development of sustainable and scalable social enterprises in our province. One of the key initiatives of the Social Enterprise Strategy is the Social Enterprise Demonstration Fund, which supports the development of financially sustainable and scalable social enterprises by addressing key challenges, including access to capital. The Program Guidelines are available online at the Social Enterprise Demonstration Fund website.